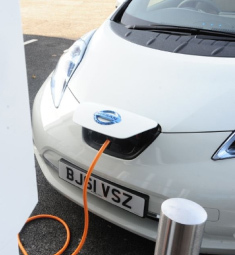 Sales of electric vehicles in the UK have slumped so badly that there are now more charging points on the road than cars that use them, the Daily Mail reported on 15 January. The high cost and limited travel range of electric cars have put off many people. The Nissan Leaf costs £25,990, even after deduction of the government grant, while electric cars are suitable only for short journeys, having a maximum range of around 161km when fully charged. Just 2,149 electric cars have been sold since 2006, despite a government scheme last year offering customers up to £5,000 towards the cost of a vehicle. The Department for Transport says that around 2,500 charging points have been installed.